Dota production hub Moonduck TV announced today that HellRaisers and Mid or Feed have fallen to the lower bracket of the Captain’s Draft qualifiers after an automatic loss was awarded for not being able to make their games. Both teams were participating in the European Summit qualifiers at the time. As the tournament scene for a game grows, it can get harder to fit the sheer amount of events into a schedule without conflict. 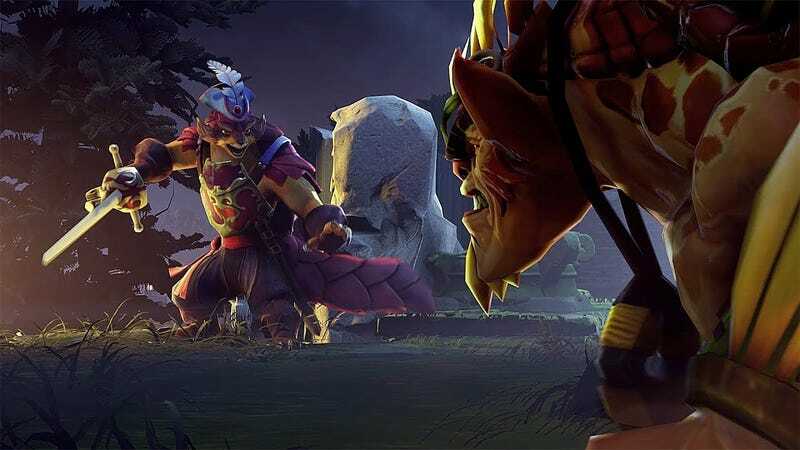 And while the Dota Pro Circuit helps keep the LAN finals clear of obstruction, the myriad of qualifiers for those tournaments can still find themselves overlapping with each other. Mooduck co-owner Shannon “SUNSFan” Scotten voiced his gripes during the qualifier stream, saying Beyond The Summit (who organize and run the Summit tournament) were initially willing to work around the Captain’s Draft qualifiers, which were announced first, but later wanted Moonduck to accommodate the conflict. He cites the lack of central governing body for qualifiers before laying out the conflict of the myriad matches that clashed today, between Captain’s Draft, Summit, and DreamLeague. Neither were willing to budge, according to Gorman. One finally had to make the call—or at least, force the teams to make it for them. The oversaturation of tournament matches is not a new problem for esports. As a scene and community grows, the demand for games to watch grows as well. While the upper echelon of competitive squads can opt out of qualifiers, either by being directly invited or picking and choosing which tournament to attend, mid-tier teams don’t always have that luxury. Their best option, then, is to enter as many qualifiers as possible and try to make tournaments, in the hopes of achieving enough circuit points and renown to become one of the “invite” teams. And when both parties are too stubborn to budge, it’s as Scotten said himself: the teams are the ones getting screwed. The ones who need those qualifiers to have a chance to get their name and play out there are being robbed of that chance. There isn’t a perfect solution to this, so long as there is no governing body to mediate scheduling conflicts like today’s. But beyond just the one elimination tacked onto HellRaisers and Mid or Feed’s qualifier run, this dispute also gave OG a free pass to the grand finals, past Mid or Feed and HellRaisers. Whether OG could have beaten both teams is no longer a question that can be answered, and now two less-renowned squads have to fight for their tournament livelihood due to a game of scheduling chicken.